The successful completion of the first programme review and the subsequent decision of the European Stability Mechanism (ESM) to disburse a 7.5-billion-euro bailout tranche are expected to trigger a number of important developments for Greek banks. These developments would have positive direct and indirect knock-on effects on the lenders' financial performance, largely improving their liquidity position and boosting their net interest income (NII) and fee income as well as enhancing their equity and capital base. The first relates to the long-awaited reinstatement by the European Central Bank of the waiver for Greek government securities. In its latest Governing Council meeting held on June 2, the ECB postponed that decision until all prior actions are implemented and the ESM decides on the disbursement. The ECB can decide on the reinstatement of waiver any time after ESM decision, even via a teleconference, according to sources familiar with the matter. The waiver (i.e. suspension of the application of the minimum credit rating threshold in the collateral eligibility requirements for ECB funding purposes) was initially introduced on December 19, 2012 following a positive assessment by the institutions of the first review of Greece’s second economic adjustment programme. After that, Greek banks were obliged to switch Greek government (issued or guaranteed) securities, such as Greek government bonds (GGBs), T-Bills, pillar II and III bonds, used as collateral for ECB funding via the Emergency Liquidity Assistance (ELA). It is worth noting that according to a previous ECB decision, pillar II bonds would no longer be eligible as collateral for ECB funding from March 1, 2015. This means that the reinstatement of waiver will not have any impact on pillar II bonds. According to the latest available figures, Greek banks hold 6.1 billion euros of GGBs and 7.7 billion of T-Bills. However, the ECB limits the amount of T-Bill eligibility for Eurosystem funding purposes to 3.2 billion. In addition, the four core banks no longer hold any pillar III bonds. Overall, the reinstatement of the waiver means that a total nominal value of 9.3 billion euros of Greek government securities, currently used as collateral for ELA funding, would be switched to ECB funding. Based on the currently applied haircut of around 45 percent, this collateral correspond to withdrawn liquidity of 5.1 billion. The ELA funding cost stands at 150 basis points (bps) higher than that of ECB funding. This means the positive impact on banks’ interest expense would reach 76 million euros on an annual basis. If the ECB decides to also lower the haircut, e.g. to 30 percent, the positive impact for Greek banks NII could reach 100 million. As an indicative reference, for each 10 percentage point cut in the collateral haircut, banks would benefit by an additional NII amount of 14 million euros per year on top of that arising by switching from ELA to ECB funding. The second positive development that is expected on June 22 relates to Greek banks’ participation in the ECB’s second series of targeted longer-term refinancing operations (TLTRO-II). This liquidity facility has a maturity of four years and the interest rate is the same as that for the ECB’s deposit facility, i.e. -0.4 percent. During the conference calls for Q1 2016 results, banks guided on their capacity to use TLTRO-II, which stands to a total of 32.5 billion euros. 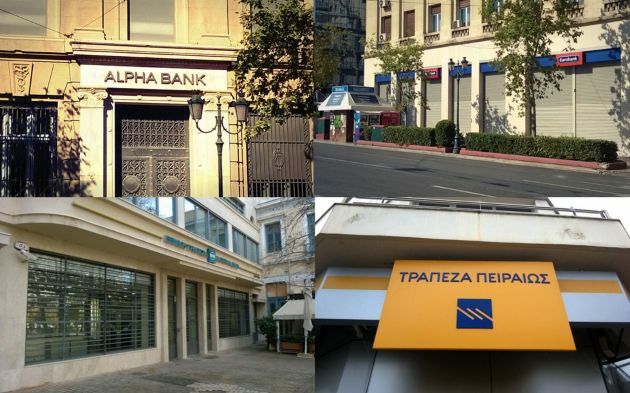 Alpha, Eurobank and NBG capacity hovers between 7.3 and 7.7 billion euros, while the Piraeus figure stands at 10 billion. We understand that the collateral that may be used largely involve EFSF and ESM bonds, while it is unclear whether Greek government securities may also be used after the reinstatement of waiver. However, taking into account banks’ EFSF/ESM holdings and their announced capacities, only Alpha would benefit from the inclusion of Greek government securities in TLTRO-II collateral pool. In the course of Q2, Greek banks sold a total of 3.25 billion EFSF bonds following an ESM decision to allow Greek banks’ EFSF holdings to participate in ECB quantitative easing (QE) in the context of its Public Sector Purchase Programme (PSPP). Even after those sales, Eurobank, NBG and Piraeus EFSF holdings stand above their TLTRO-II capacity, while only Alpha is below, with its current EFSF holdings at around 4 billion almost half its TLTRO-II capacity of 7.7 billion. Under a best-case scenario, assuming that Greek banks participate at their total capacity in the TLTRO-II operation, they would have access liquidity at a cost of -40 bps versus zero cost for ECB funding entailing a positive impact of 130 million euros on their net interest income (NII) on an annual basis. A third positive development, albeit not foreseen in the short-term, relates to Greece’s ECB eligibility for the QE programme. During a press conference last September, ECB president Mario Draghi clarified that such a development requires reinstatement of the waiver, successful completion of the adjustment programme and debt sustainability. The latter appears to be the key obstacle at the moment, since the eurozone finance ministers agreed at the last Eurogroup that Greek debt is unsustainable and debt relief measures would be adopted split in short-, medium- and long-term interventions. However, since the most important measures have not been quantified so far, it would be reasonable to assume that ECB could delay its decision for a few months until there is more clarity on Greece’s debt sustainability resolution. However, even if Greece becomes QE eligible, this would involve a relatively small amount of around 2.9 billion of GGBs, which would increase to 4.2 billion after ECB-held GGB redemptions in July. In addition, there is also a time constraint, since Draghi stressed that “during reviews in the context of financial assistance programmes for a euro area Member State, eligibility would be suspended and would resume only in the event of a positive outcome of the review.” At the moment, it remains unclear when ECB could decide on QE eligibility and whether the timing of the decision would allow for bond purchases before the second programme review is initiated. In any case, the direct financial impact from Greece’s QE eligibility would not be significant. However, it would reduce the country’s risk premium with a positive impact on bond prices that would lead to revaluation gains for Greek banks with a consequent positive impact on their equity and capital. At the same time, it would certainly improve the market sentiment and investors’ perception of Greece’s economic outlook, while may also lead to upgrades of the country’s and banks’ ratings by rating agencies. Another positive indirect development - mostly over the medium-term - following the ECB decisions, relates to banks’ ongoing gradual reduction of their pillar II bonds, which would be facilitated by a return of deposits. Pillar II bonds are currently used for ELA funding after a haircut of around 45 percent is applied. On top of the interest cost of 1.5 percent, they also bear a fee expense (paid to the state) of 1.15 percent on the nominal bond value. Thus, for each 1 billion euros of deposits that is returned to the banking system, Greek banks can redeem an equivalent amount of pillar bonds with a nominal value of 1.8 billion. Assuming that this 1 billion is placed in a term deposit with an interest rate of 0.87 percent (latest Bank of Greece figure for April rates), banks could see lower funding costs of 27 million euros in their NII and fee income lines stemming from the 1 billion deposit return. In case deposits worth 5 billion euros return to Greek banks over the next 18 months, this would boost their operating income by 135 million based on current interest rates. Greek banks face a significant challenge in convincing depositors to bring back their deposits as they have to take on fragile depositor sentiment and sovereign risk. This makes it tricky to make any accurate estimate regarding the amount as well as the timing of deposits returning back to the banking system. Also, the lifting of capital controls is a key prerequisite for the return of deposits. According to banking sources, this is not seen happening until towards the end of the year. Summing up, the reinstatement of the waiver and the participation in the TLTRO-II is estimated to have a positive impact on banks NII of 200-250 million euros on an annual basis under a best-case scenario, while additional indirect benefits are expected on their capital base from the potential inclusion of Greece in the ECB’s QE programme. Moreover, a potential return over the medium-term even of a small part of the 45 billion euros withdrawn during the first half of 2015, would have a positive impact on banks’ income. Speaking at a conference of the Confederation of Northern Greece Industries (SBEE) on May 13, the Bank of Greece (BoG) governor Yannis Stournaras said that the reinstatement of waiver and the participation of GGBs in ECB QE would have a potential positive impact of 400-500 million euros on Greek banks’ results in 2017.